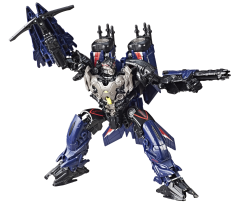 In the Chicago Aerial Offensive scene inspired by Transformers: Dark of the Moon, Thundercracker tears through the skies over Chicago. Thundercracker rains down destruction on the Autobots, knowing full well every one of his attacks spreads fear in his enemy’s ranks. 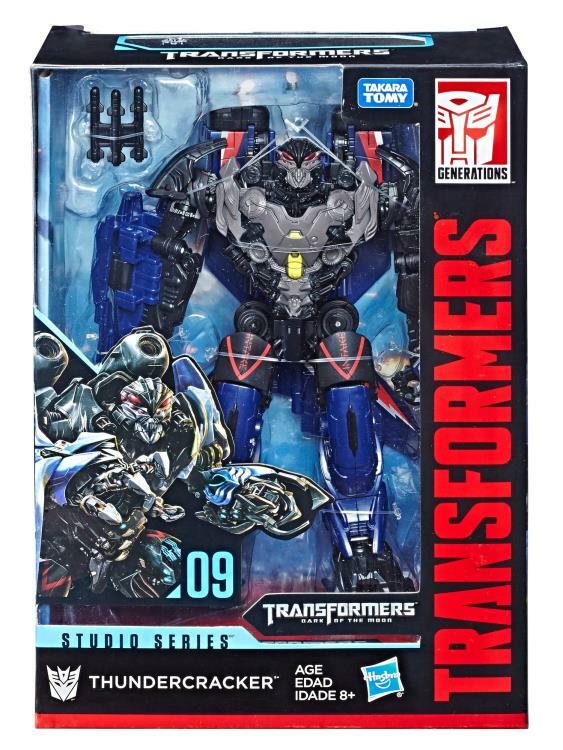 Okay, so it didn't actually happen in the movie, but don't tell that to Thundercracker. 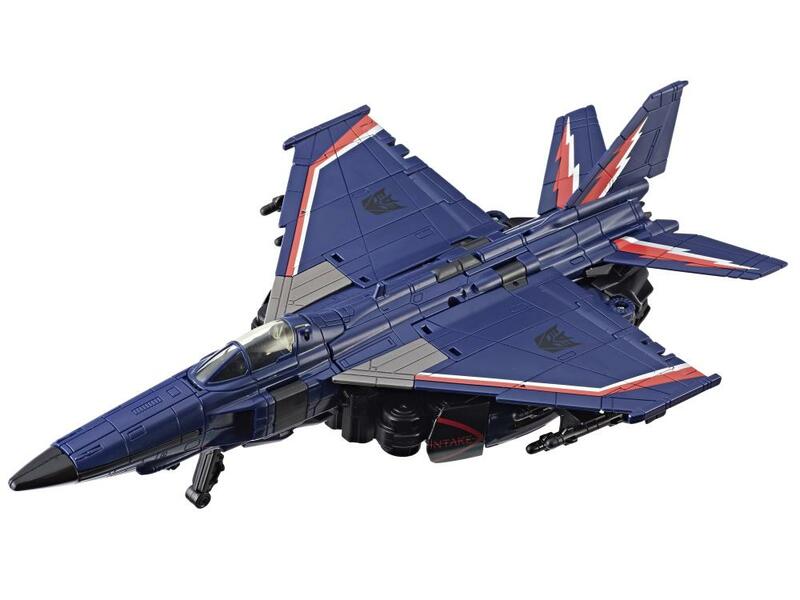 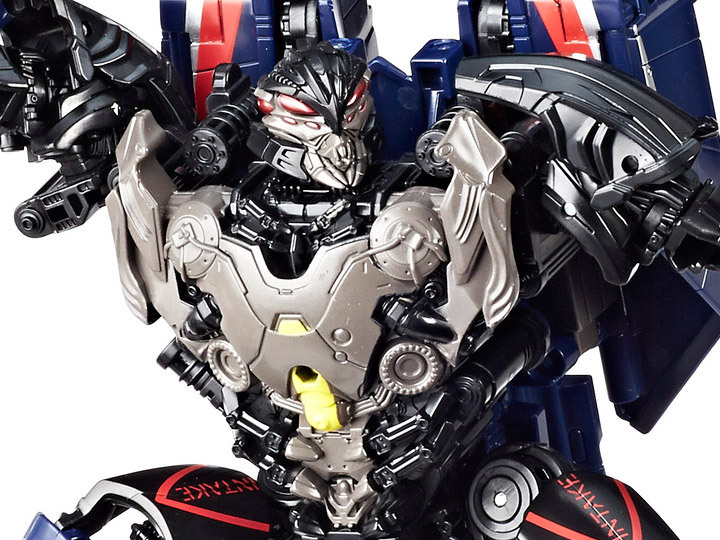 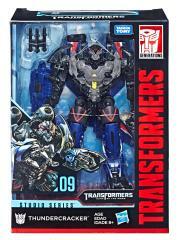 This Studio Series 09 Voyager Class Dark of the Moon Thundercracker figure converts from robot to jet mode in 35 steps and comes with 1 accessory. Remove the included backdrop to showcase the Thundercracker figure in the Chicago Aerial Offensive scene.